Today I have presented in front of an audience for the very fist time the work I’ve been doing for that last year and a half. 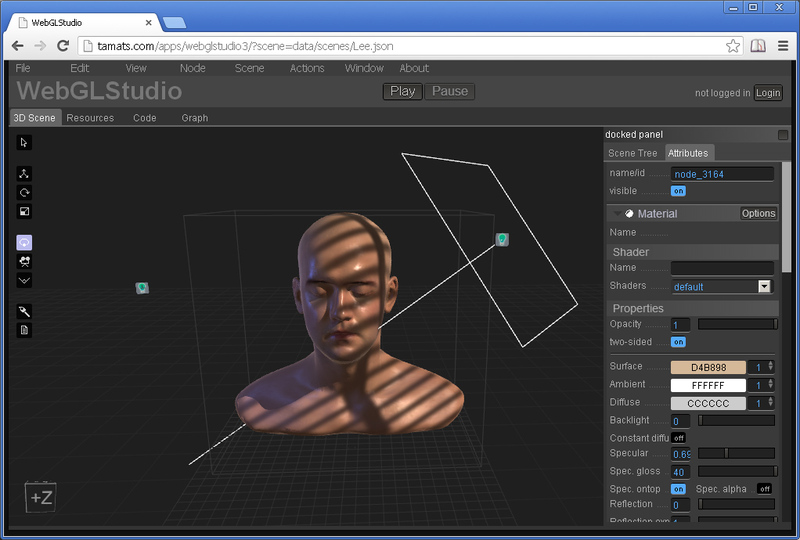 It is a 3D editor entirely made for the web, using my own 3D rendering engine. It is called WebGLStudio. 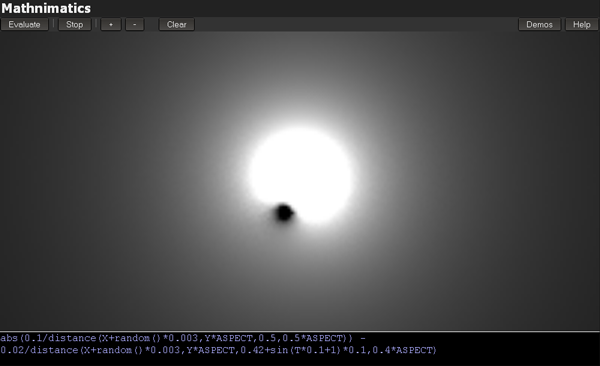 Because it is still a prototype full of bugs I didnt want to promote it but now I feel more confortable sharing it. You can try it by clicking the screenshot. I will make a better post about it with a tutorial video in the next weeks. 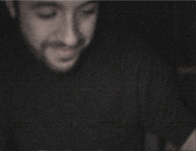 One month ago Graham offered me to collaborate with him in one of his live coding performances. He does amazing music by coding live in front of an audience (no samples, no synths) using Supercollider. 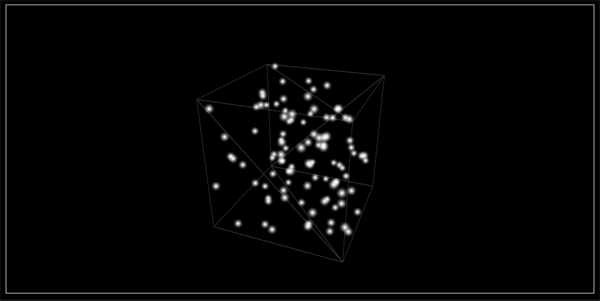 He thought I could do the visuals using one of my tools, he would send me OSC messages and I can try to visualize them. So I took my old Simplecanvas web-experiment and tune it a lot so it can work in a real environment. I wanted to talk about it before but I was waiting to have a video to show (we recorded the session), sadly the videos will have to wait a little bit, meanwhile just a heads up about the new features in Simple Canvas 2.0. 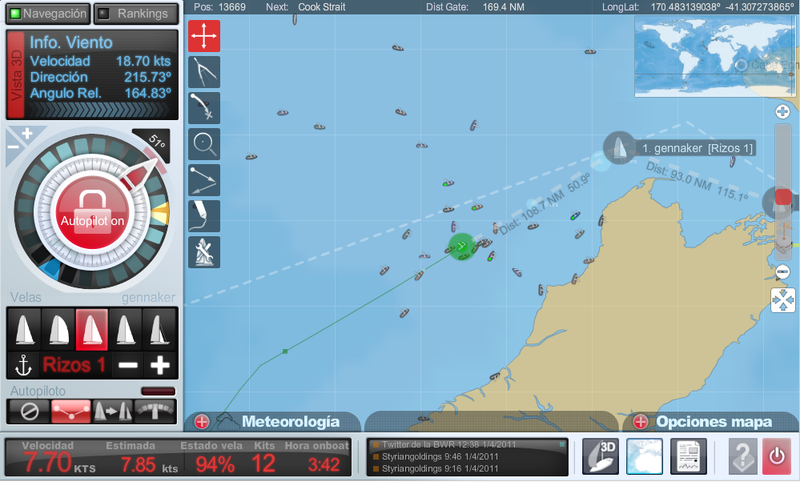 After many years programming graphics in C++ I ended up having to code a big web project during a whole year, it was for the Barcelona World Race online game. Because the project requested lots of graphics and interaction I decided to do it in Flash, by that time I only had made some silly tests in Actionscript so I had to learn fast and not only the basics. The project ended up being a success with more than 50.000 registered users (surprising for a game so niche as the sailing games). After that project I felt that Flash was a great platform, performance is good, the API is complete, the official IDE has all I could expect, and the projects can be deployed to web or desktop without any problem. Today at work I had to do a cubemap visualizer that must work in iOS, so the only approach was to use HTML5 and the some of the new CSS 3D transformations. I have done it already in flash using the 2.5 API so I thought it shouldn’t be so hard to rotate several layers 90 degrees and move them around. It turned out it was, because the origins are kind of messed up in the new CSS 3D API and I couldnt find a good documentation about it. Drag the image around to see the panoramic image, although some old browsers probably wont show anything. It works perfect in iOS and Chrome, not so well in Firefox. Some time ago I decided that instead of sharing some space in a hosting service to have all my websites I was going to rent my own private server. I could had plugged one old machine to the network at home and save the money but if I have to pay every month a fee I’m sure I will make good use of it. Now two years later the experience have proved to be great, I manage remotely my own Ubuntu machine (my knowledge in Unix systems have improved a lot), my own http server (nginx), I have services running (GIT, some node.js scripts) and I’m hosting several websites from some of my friends. I’m using linode.com (great service) for a virtual machine of 256 MB of RAM (more than what I need), it costs me 20 Euros per month which I think is fair. Thanks to that I’ve been able to code all kind of crazy ideas which it would had been impossible without my own remote machine, and I encourage to all the webmasters to give it a try one day to pass to a next level. Today I’m going to talk about a tiny web app I coded the last week to create images and animations programatically, it is called Simplecanvas. The idea is to create images using simple functions like move or drawImage, and test the results instantly by pressing control+enter. Here is a bunch of interesting links I’ve found during the last month, that I thought were worthy to share and comment. I enjoyed reading this article (Lou’s Pseudo 3d Page v0.91) about how manage the old games to create a visualization of a road for racing games, using raster techniques and in some cases specific hardware for arcade machines. It is well documented and easy to understand. 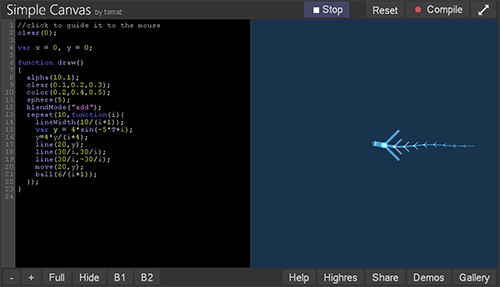 JSRepl: a webapp to code in different languages from the browser and see the results. Garbage Collector in JS: tips to avoid your js app to freeze everytime the GC do his thing. Google and Mozilla are pushing the HTML5 standard with new APIs to access hardware functionalities, but also to allow to create new webapps. Some are really interesting like P2p connections from the browser. I love collaborative apps, the results are always unpredictible, here are two nice examples. yourworldoftext: an infinite canvas made of text where people can write whatever they want. 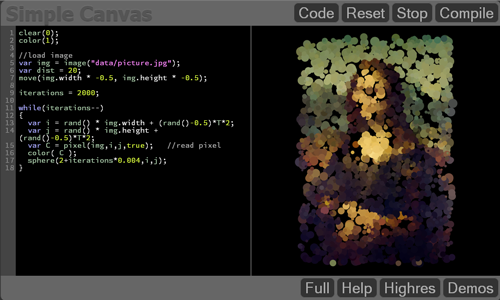 webcanvas: an infinite canvas where everybody can draw. Some time ago I used this to create the title of a community site I had, so people could change the title whenever they wanted. The results where really funny and monstruous. Today I recovered that code and made some optimizations on the way the render loop was handled, I think now it is between two and four times faster. It is a good time to talk about it in this blog. If you want to know how it is done read the rest of the post. After too many years developing 3D Apps using APIs like OpenGL I found myself wondering why I never did a rasterizer from scratch, creating the image pixel by pixel, using just the CPU. It is a real useful exercise to consolidate the mental knowledge of a graphics pipeline. I even know people who use software rasterizers on their engines to solve visibility issues or as a fallback option for some extreme situations (for instance, 3D on the web on Internet Explorer! ha ha). If you are curios about how it is done, continue reading the entry.